Barn Dance: Where? When? What? 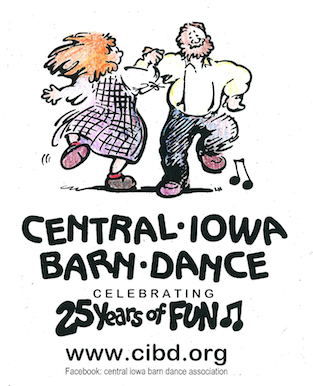 Since 1991 the Central Iowa Barn Dance Association has sponsored dances featuring contras and squares, on the fourth Saturday of each month except July and December. OUR MISSION: The Central Iowa Barn Dance Association promotes American country dancing to bring enjoyment, delight and sociability to our community. We hold regular dances featuring fine callers and dance musicians, and invite everyone to participate.